In short, Hillary Clinton instructed Barbara Feinman to write a book, and the book came out on Clinton’s behalf. Clinton was also considered the main author of the book, although most of “It Takes a Village” was written by Feinman. In 2001, this situation got publicized, and American society became aware of the true authorship of the book. Some people advocated Feinman, saying that she was basely used by Clinton. Others believed that Feinman knew what was going on; moreover, she was well paid ($120,000 for seven months of her work). Feinman became a public example of a ghostwriter—a specialist hired to create books, articles, speeches or other written pieces that are credited to another person as the author. It also revealed the ambiguous ethics of using ghostwriters. 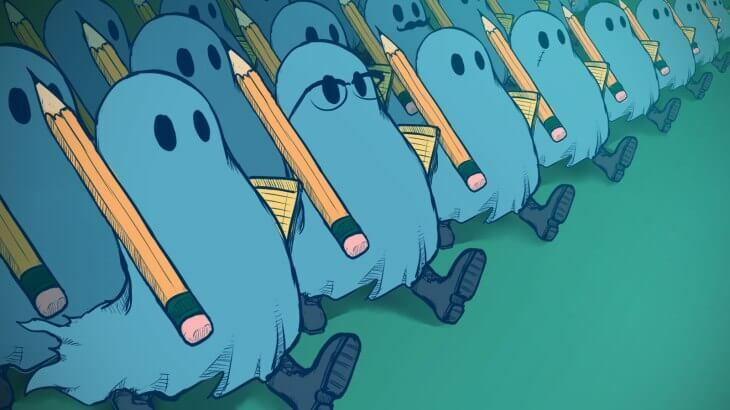 In business and in the digital sphere, ghostwriting can be a controversial practice. Is hiring a ghostwriter to produce blogs, articles and the like under an executive’s name just good business? Or is it dishonest, if the potential reader is led to believe it’s produced by someone else with a more familiar name? We decided to take a deeper look at this issue and talk with people who have worked as ghostwriters about how they view that role. We hope this may offer some guidance to you, as a business executive, in deciding whether to hire a ghostwriter or not. Why Do Business Executives Hire Ghostwriters? This allows executives to present these texts as their own, thereby promoting personal or company brands. By tacit agreement (or agreed terms), the ghostwriter does not claim authorship, and, in return for direct payment, future rewards are reaped by the entrepreneur. Well-written copy helps an entrepreneur attract potential customers who are confident about his or her experience and professionalism. The ‘ghost’ recedes into the shadows from which s/he was called. This factor is significant when the executive is an expert in his or her sphere but lacks strong writing skills. The writer, using interviews and other materials, gathers the expertise of his or her employer and applies strong writing skills to communicate that expertise, producing an excellent article. Professional ghostwriters, by definition, are people with the skills and incentive to produce great content like no one else. In other words, if a writer produces poor-quality copy, nobody will be asking for his or her services. 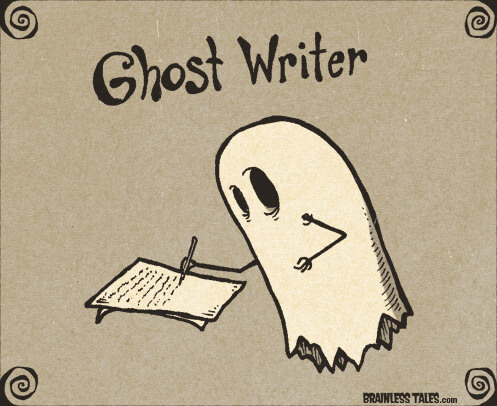 Ghostwriters are employed and delegated to accomplish the task. Engaging a ghostwriter helps a busy executive save time and effort in creating content. The ghostwriter is a subordinate who fulfills the assigned task. Typically, the writer begins by creating an article outline, then goes on to write the copy, possibly connecting with the executive and other resources, before the article is posted. The employer may need only to suggest edits to the finished article. What Is the Positive Ethical Side of Hiring a Ghostwriter? You give writers an opportunity to make money by doing what they enjoy. In my experience, a person who hates the writing process won’t be looking for this kind of position. Writing is a painstaking and sometimes painful task. Becoming a skilled writer takes a lot of time and practice so as to perfect the mechanical aspects of writing and to develop a personal style. Thus, writers are mostly people who really love to write, and enjoy the opportunity to earn a living at it. Moreover, a ghostwriter, like any other professional, is offering services without the expectation of the glory of public authorship. Aalok Swamy, who does ghostwriting for several startups, responded to our Facebook survey looking for opinions on the ethics of ghostwriting. You give writers the opportunity to feel their worth. 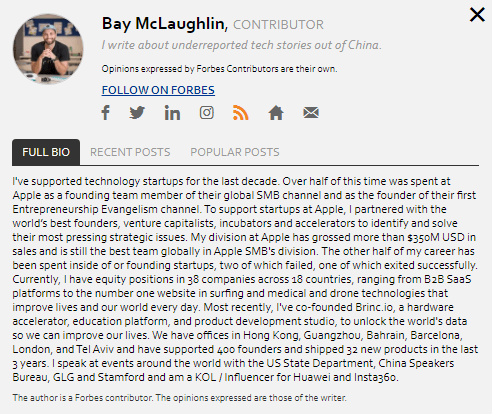 Say you instruct the writer to produce a guest post, and this post is subsequently published on some top-tier resource, such as Forbes. It’s unlikely Forbes would publish the same text on behalf of a no-name writer, but it’s another thing when it comes in under the name of a well-known entrepreneur. By creating posts that get recognition in top resources, the writer gets the satisfaction of knowing that his or her work is worthy of publication on the best websites. The writer may be able to use the article as part of a professional portfolio, thereby attracting richer clients. You allow authors to practice their skills in a variety of styles and tones. Work involving different styles and different topics helps the writer develop his or her skills and provides opportunities to practice. Sooner or later this is bound to pay off in more money and prestige in the ghostwriting world. What Is the Negative Ethical Side of Hiring a Ghost? You’re taking credit for work that’s not your own. Although some readers are aware that ghostwriting is a common practice, they still have to believe that the text is written by you, since there is no evidence to suggest the opposite. 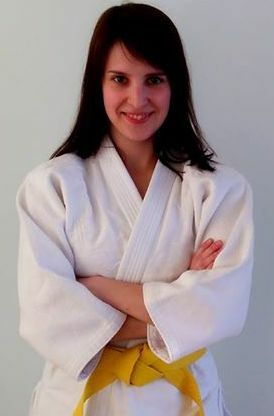 At the bottom of the guest post, your name and possibly your photo will appear, although the article is not written by you. No matter how you may rationalize the practice, hiring a ghost is still technically cheating, and you’re lying to your potential reader. In 2017, Barbara Feinman released a book called Pretend I’m Not Here, in which she described her ghostwriting career. Although Feinman chose ghostwriting, as she preferred staying out the limelight, the title reflects the state of the practice well. Feinman said in an interview. So, both you and the readers must pretend that the article belongs to you. You may receive much more benefit from the work than the writer who was paid to do it. Since the texts increase your recognition and work to support your brand, it’s likely you’ll stand to gain a large influx of new customers. Also, a good text will bring benefits for a long time after publication. The writer will be rewarded only with that one-time payment you made in exchange for the text. So it turns out that you are exploiting someone else’s work. Good old Karl Marx wrote about this, and perhaps you can see in the practice of ghostwriting an example of class hegemony. Every day thousands of rich entrepreneurs hire writers to write material under the employer’s name. The writers get paid something, but you can be sure the business owners get much more out of that work in the long run. Moreover, business owners possess the implements of labor (their expertise). Without expertise, writers could not write expert articles. Writers themselves are often not experts in the subject matter. But now we have gone too deep into the topic. Let’s look at a more specific negative ethical argument. You take away all the glory. Readers will leave enthusiastic comments for you, but the writer remains in the shadows. Many writers are vulnerable creatures, and personal gratitude may be very important to them. We asked one more ghostwriter what it’s like to see readers praise someone else for the ghostwriter’s work. As you can tell, ghostwriters experience dual feelings. On one hand, the writer is glad to have created an excellent article that readers appreciate. On the other hand, it’s sad to see the glory going to another person. How Should We Approach Ghostwriting? You do not have to face an ethical dilemma. If you are not indifferent to these issues, cheating readers could be an unpleasant decision. Creating texts yourself means not having to make a compromise with your conscience. There’s nothing wrong with asking someone to edit it for you to make sure it’s in good shape. In fact, it’s a good idea! Eventually, you will learn how to write the texts yourself. Writing skills are very useful both in your personal life and in business. These skills can only be developed with hard work, but the results will be worth the effort. If you constantly resort to the services of ghostwriters, you’ll never learn how to write quality texts yourself. You will develop your own style. This will have a very positive effect on your brand. Consider why audiences love Rand Fishkin or Gary Vaynerchuk. In addition to the useful information these gurus give, their texts are written in an individual style. Each article by these masters is recognizably their own work, and this is the level for which every business executive should strive. We advise hiring writers only in situations where you have absolutely no time and desire to write. Also, as an option, you can hire an agency. Agency writers will create articles for your blog on behalf of your company or by their personal names. You will get relevant content without spending your personal time on writing. Is hiring a ghostwriter good or bad? We’ve tried to answer this question not from the practical point of view, but from the ethical perspective, and found the answer wasn’t simple. On one hand, the ghostwriter provides his or her services and is paid in an honest and straightforward way for them. You also give the writer the opportunity to publish his or her texts on the most authoritative Internet resources. On the other hand, you’re essentially deceiving readers because they believe the text is written by you. You also have the potential to gain much more benefit from the written piece than the writer ever will, by drawing hundreds or even thousands of new customers. No matter how you approach ghostwriting, the fact remains that any entrepreneur or business executive will benefit by attaining the skill of writing, a skill that can be achieved only by working at it and getting lots of practice. Also, if you do not have time for writing, you can hire an agency to create articles for your blog on behalf of your company or under the name of the specialist. What are your thoughts on hiring ghostwriters?